Today, Kirk Koenigsbauer, corporate vice president in the Microsoft Office Division, announced that Office solutions and other "2013"-branded products have reached the release-to-manufacturing (RTM) stage. General availability is planned for the first quarter of 2013. Starting October 19, customers purchasing Office 2010 from local retailers or resellers will receive the new Office for free upon availability. Customers will also see a preview version of the new Office on Windows RT devices, beginning with the Windows 8 launch on October 26. Rolling out new capabilities to Office 365 Enterprise customers in our next service update, starting in November through general availability. 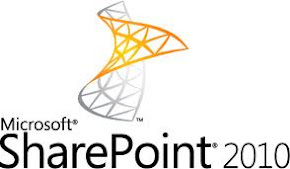 Think SharePoint 2013 as a Portal Platform, which help you understand the new paradigm shift, which helps lots of developer to do program using C#, Python, Ruby, Java, PHP, NodeJS. The SharePoint 2013 App model is based on web standards: HTML 5, CSS, JS, OAuth 2.0 and OData. Today SharePoint enable most of the SharePoint API functions remote accessible the remote interface is much easier to maintain and more secure. This also concept also open door for SharePoint Developer create Facebook kind of applications for SharePoint and Office. What type application we can develop? Ever struggled writing or debugging multithreaded code? Join Joe Albahari, author of C# 5 in a Nutshell, for a practical session on how to write responsive applications in C# 5 without resorting to threads, locks or BackgroundWorker. We'll explore the theory as well as the practice behind C# 5's new asynchronous functions, and see why the old-school approach is not only hard work, but fundamentally broken. We'll also touch on Reactive Framework, and they'll be a question-and-answer session on all aspects of C# 5, asynchrony and multithreading. Joe Albahari is the inventor of LINQPad and an O'Reilly author. He's published 7 books with O'Reilly, including C# 5.0 in a Nutshell, and has written extensively on multithreading and parallel programming. He speaks regularly at user groups and conferences such as TechEd and YOW, and has been a C# MVP since 2008.